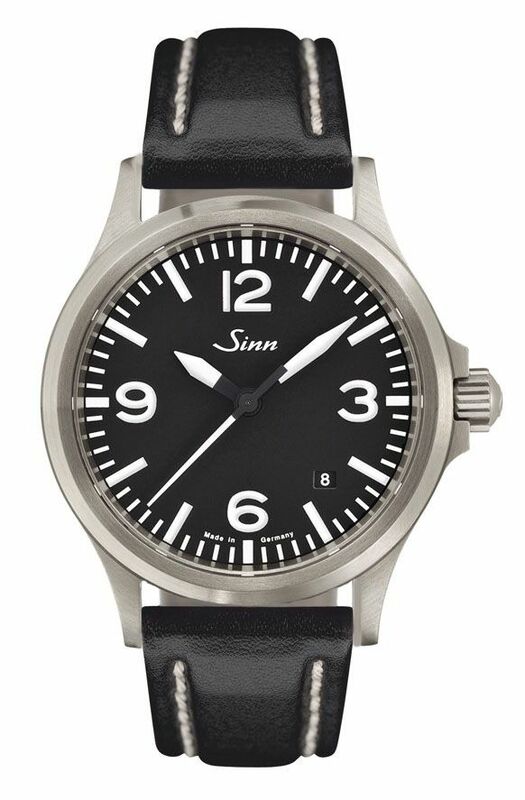 Sinn 556 A Automatic Wristwatch, which is very similar to the regular 556, with a slightly modified dial to incorporate large main numbers. 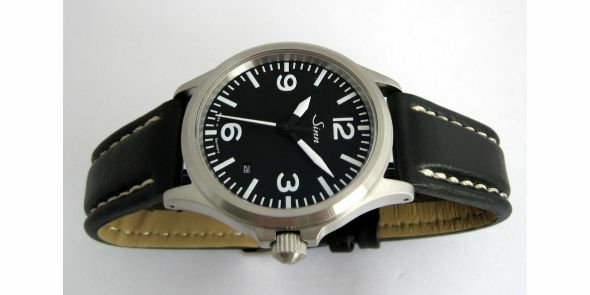 Sporty and stylish looking Sinn 556 wristwatch. 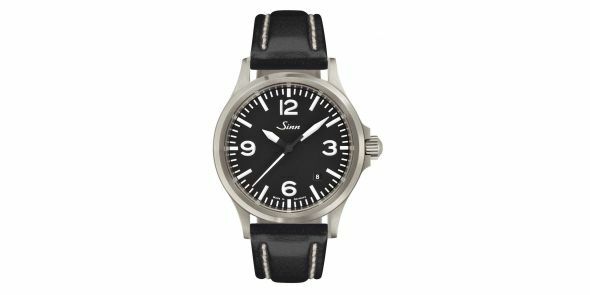 Owners of Sinn watches receive first class quality products at an excellent price to performance ratio and nothing has changed with this formula for the success of Sinn watches. 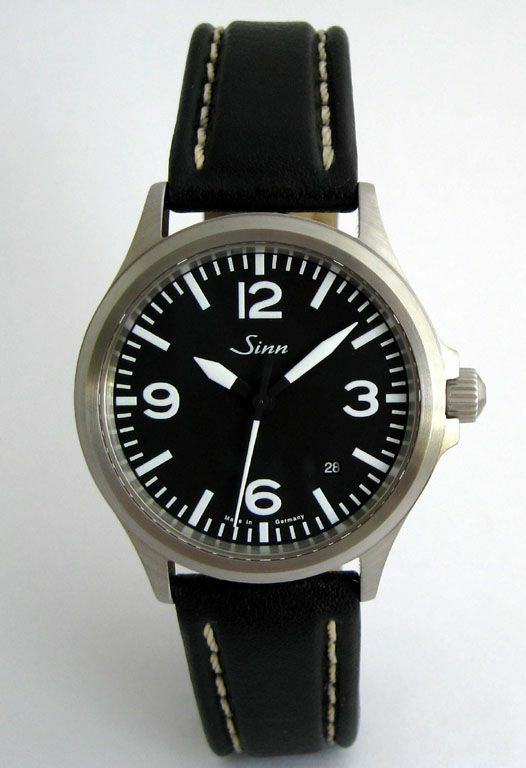 The 556 model, Sinn offer a watch that represents the first step into the technical world of Sinn watches. 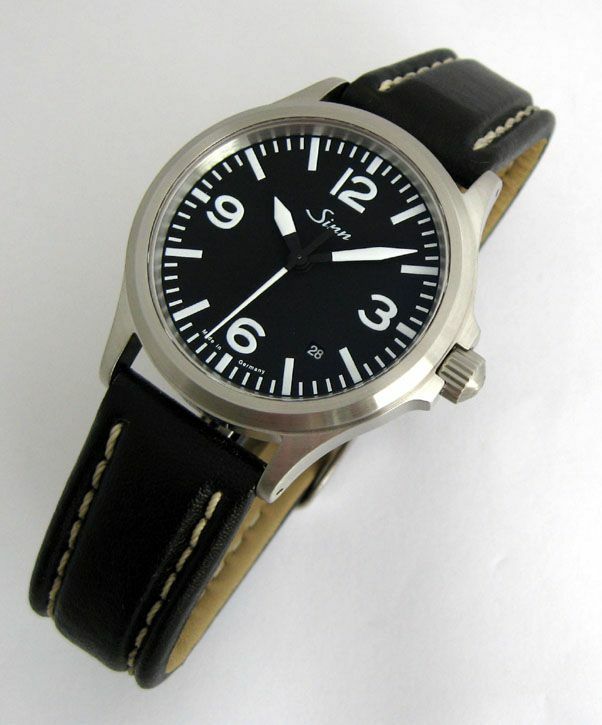 It is technically convincing in its robustness, solid craftsmanship, and its ability to accompany the wearer in everyday situations. 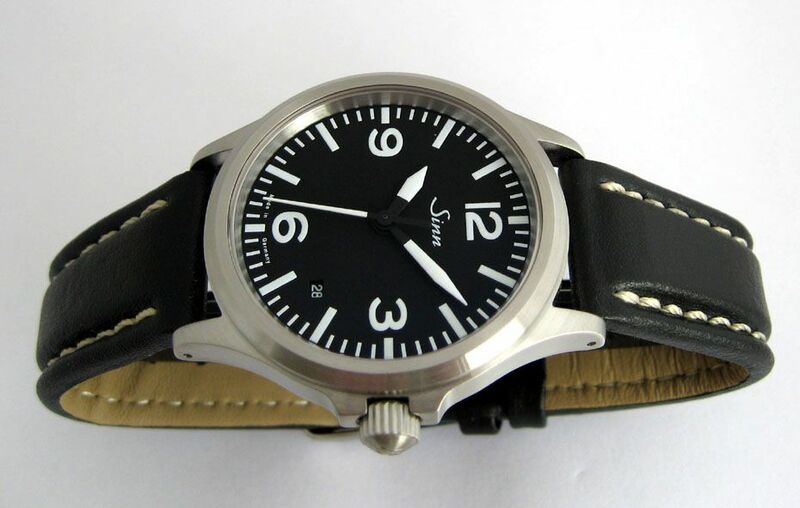 The classic legible design dominating its visuals results from the same functionality that all Sinn watches contain. 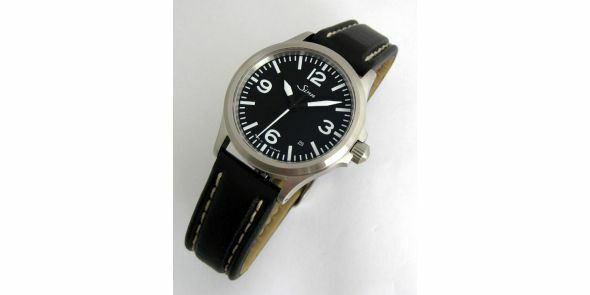 The case is stainless steel with satin finish. 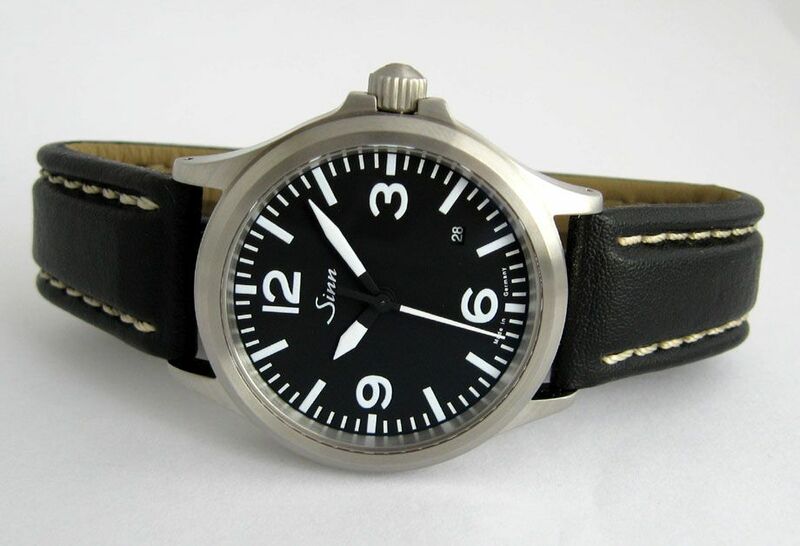 It has got a double sealed screw down crown giving a pressure proof of 20 bar which is approximately 200 metres which is water-resistant as per DIN 8310 and low pressure resistant. It has got a sapphire crystal front with anti reflective coating to both sides, and a sapphire crystal display back with anti reflective coating to the case back. 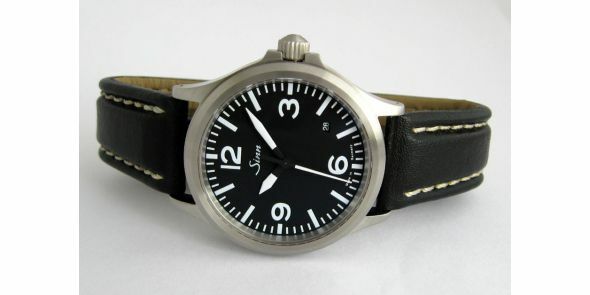 The hands and numbers are Superluminova coated to give good strong luminosity. 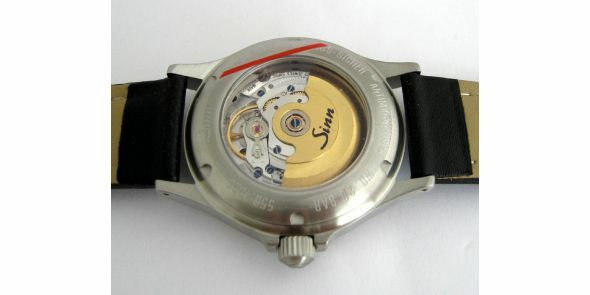 The watch features a Swiss made ETA 2824-2 automatic, self-winding mechanism, 25 bearing jewels, 28,800 semi-oscillations per hour, seconds stop function for accurate time setting, shock resistant as per DIN 8308, anti-magnetic as per DIN 8309, screw down crown and case back, comes on high quality stitched leather strap and signed buckle, presentation box and all paper work with 2 year factory warranty. 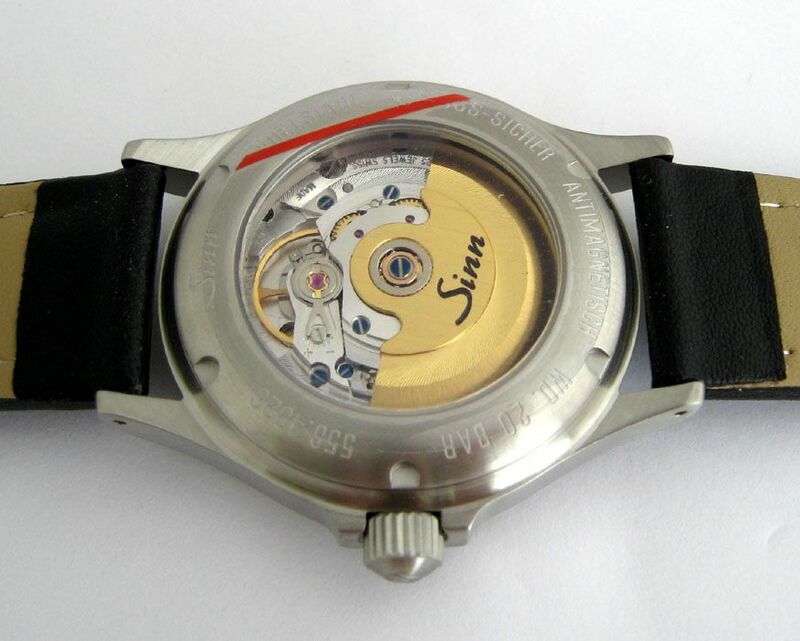 Width is 38.5 mm at widest excluding crown and 42 mm including crown, Lug to lug is 45 mm, Thickness is 11.5mm. 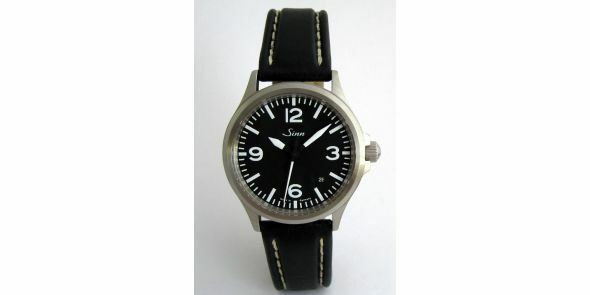 Ref SIN 95a.